Co-sponsored by PEN America & Wikimedia NYC, Kundiman will be collaborating with the Asian American Writers’ Workshop on May 12th to host a Wikipedia Edit-a-thon! The Edit-a-thon will enable participants to address deficiencies and errors in pages related to Asian American literature. Our goal is to bolster the presence of Asian American writers within Wikipedia by bringing our community’s knowledge and experience to bear. Training is provided, there's no previous Wikipedia experience necessary, just bring a laptop! 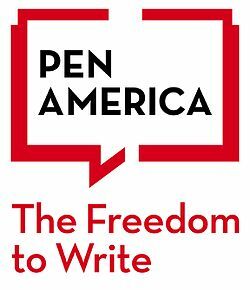 Courtesy of PEN America, beer from Lagunitas will also be provided! The Edit-Thon will be held at the Asian American Writers’ Workshop at 112 W 27th St #600, from 12 PM to 3 PM on May 12th. RSVP here. We're also hosting a second Edit-a-Thon on May 27, at the Ace Hotel in New York. RSVP for that event here.